Baby adoptions occur every day in all parts of the world. These adoptions are a blessing -- both to the baby and to the adopting parents. There are so many children who are in desperate need of homes, and there are so many individuals and couples who are ready to love a child. Those who are considering the adoption route must first decide what type of adoption they want to pursue, including private adoption, public adoption, or international adoption. With all of the choices and options available, however, adopting a child can also be a very confusing process. Many people choose private adoption agencies simply because they can sometimes get faster results. Of course, this hinges on several factors, and there are a couple of different routes prospective parents can take when using a private adoption agency. Many private adoption agencies offer both open and closed adoptions. These adoptions may run anywhere from $10,000 to $30,000 and can take as little as a few months to several years. 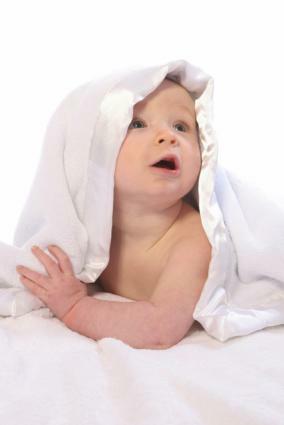 An open baby adoption basically refers to an adoption in which the records concerning the child are open. Although the birth parents are giving up legal rights to the baby, they may still be able to maintain contact with the child and adoptive parents, or at least be given yearly up-to-date information regarding the child. Different states have different laws regarding this arrangement, however. Some adoption agencies focus on allowing the birth mother to choose the couple she would like to adopt her baby. While the process for this may vary, many adopting couples create portfolios of their family life, including pictures, letters to the birth mother and child, religious and social information, etc. The birth mother can then look through these portfolios before making her choice. The adopting parents and birth mother may even meet several times before the baby is born, and the birth mother may even allow the adoptive parents in the delivery room. A closed baby adoption basically refers to an adoption in which all of the records are sealed. The adopting parents and the birth parents do not know each other's identities. There will be no contact between either party before, during, or after the birth of the child, at least until the child is of legal age, typically eighteen. Again, different states vary in how long records will remain sealed after a child reaches adulthood. Public adoption agencies are overseen by the state government, typically the Department of Human Resources or a similar agency. While they may have some infants, they mainly deal with babies who are toddler aged, older children, and special needs children. The cost is significantly less than a private agency and can run anywhere from $0 to $4000, depending on the state and the situation. If you are interested in a public adoption, you will need to be sure and have a current home study on file. The wait for adopting a child can be as little as a few months up to several years. International baby adoptions may be handled by a private attorney or by an agency specializing in international adoptions. The cost may run anywhere from $15,000 to $30,000. Travel expenses may be in addition to this. There are approximately eighty countries who will participate in international adoptions. The difficulty of these adoptions actually depends on several factors, including the child's age and health, the availability of the children, and the political climate of that country. An independent adoption, sometimes referred to as a private adoption, refers to an adoption that was initiated by adoptive parents. They usually have the assistance of a private attorney and sometimes an adoption counselor. The laws governing this type of adoption vary from state to state. Prospective parents typically advertise that they are looking to adopt a baby, and they give a phone number which may be their attorney's or a private number set up for the adoption only. They offer to pay living and medical expenses for the birth mother. These expenses, combined with attorney's fees and other costs, can run as low as $4,000 or as high as $40,000. The wait time really depends on how long it takes to find a birth mother, which could be a few months to a few years. Before you begin the adoption process, it is important that you seek the advice of a professional individual or agency that is knowledgeable and reputable in adoption matters. The process can be long and arduous, but in the end, the adoption of a precious baby will make the journey worth it!